Wednesday the 7th of November Gansbaai town centre was a hive of activity and the number of cars parked along the main road resembled peak holiday season. 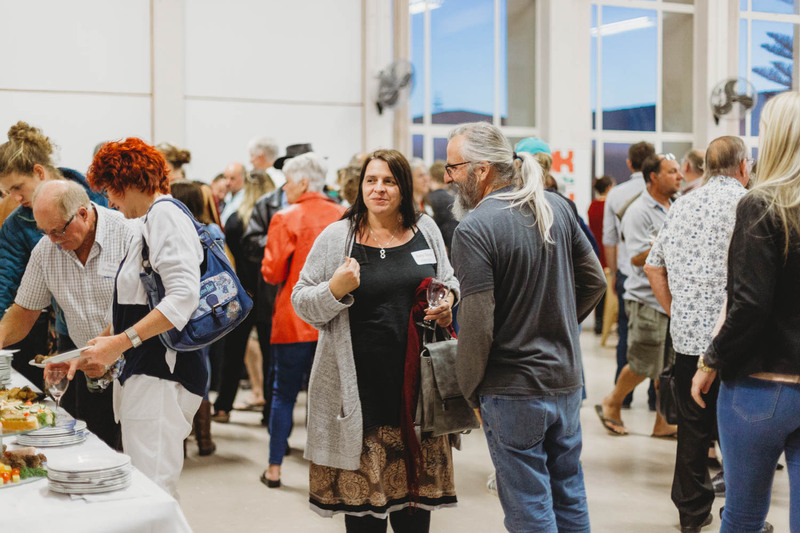 The Pretorius-Saal was definitely the place to be and the big event was the 2018 Xplorio Gansbaai Member’s Evening. 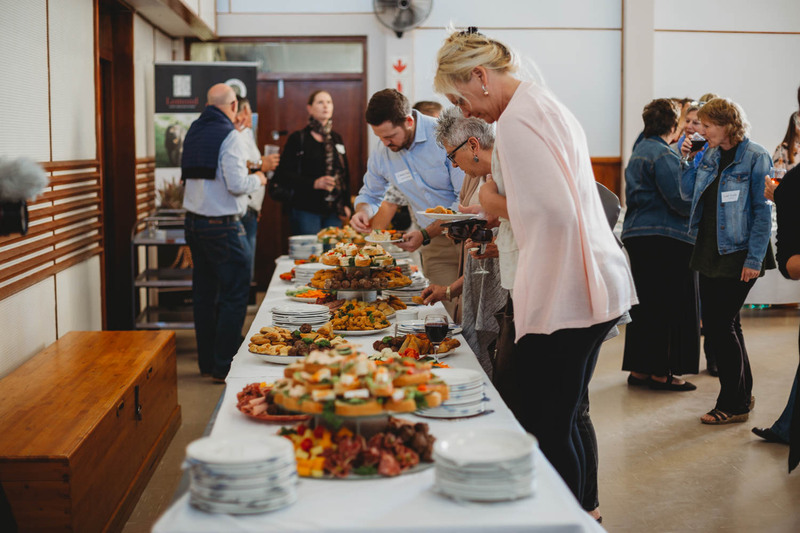 Tables laden with gourmet snack platters, local wines and craft beer lay in wait and the atmosphere in the hall felt more like a family reunion than a business gathering. Happiness and positivity vibrated from everyone and the mood was uplifting. 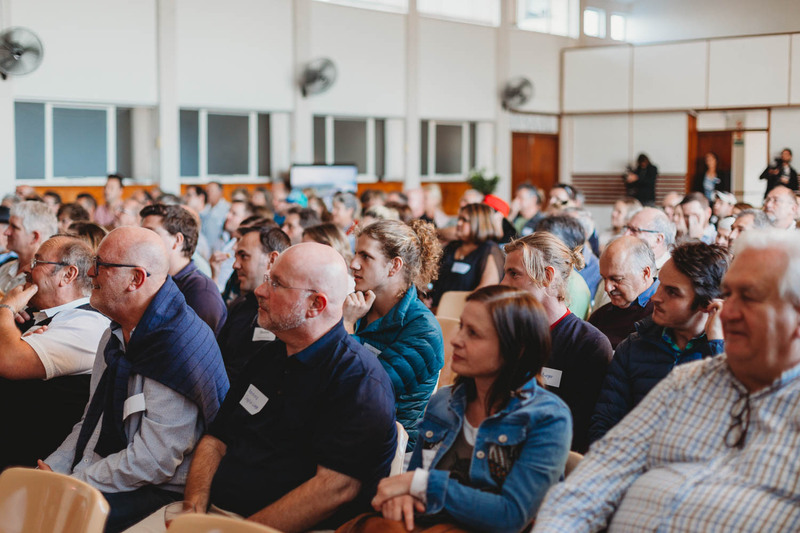 Company co-director Dr Sanja Lutzeyer took to the stage and shared that the Xplorio success story began with the very people she was speaking to - the Gansbaai Community. She shared that the townsfolk held a special place in the hearts of the Xplorio family and were the driving force behind Xplorio being rolled out and welcomed throughout the Overberg. The performance statistics achieved by Xplorio Gansbaai this year compared to last year were shown to be phenomenal with massive leap of 64%, meaning that an average of 14,600 users per month visited the Xplorio Gansbaai website in 2018 compared to last year’s already impressive 8,900. This growth means that Gansbaai has effectively taken control of their online presence and are becoming a force to be reckoned with. The Gansbaai Xplorio Facebook page and monthly newsletter were also discussed and have been proven to be an effective online marketing tool that is also included in the Xplorio membership fees. A mini-documentary-style video of real-life testimonials showcasing a few local businesses that have had tremendous success with their Xplorio online marketing partners was shown. The crowd were clearly proud of their fellow community members. Next, it was time to meet the team and each Xplorio Team member took to the stage and was met with cheers and thunderous applause. Since the 2017 members evening, the Xplorio Team has grown considerably. Team members covering all different elements of digital marketing were introduced - ranging from customer support, data analysis and design to paid media and journalism. 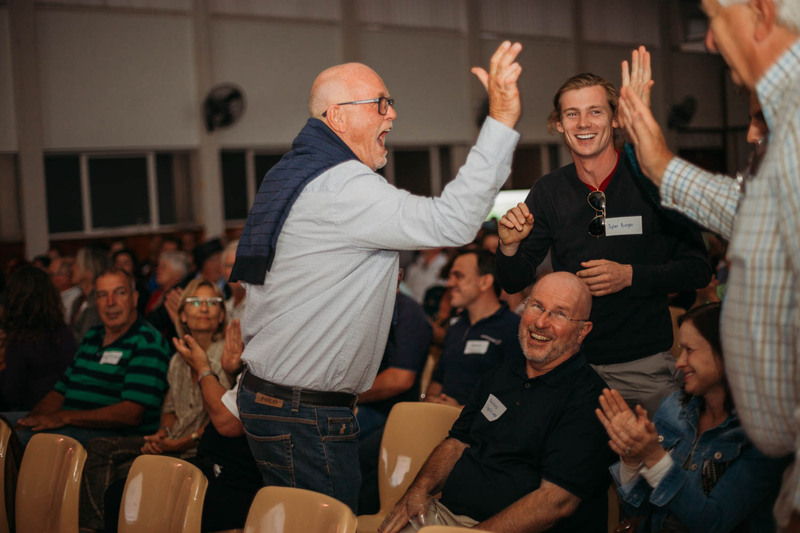 The donation of the prizes this year by local businesses was so generous that there was an overflow of prizes, which meant a huge lucky draw followed, turning the evening into a whole lot of laughter and fun. The Xplorio Town Explorer was then officially launched and Sanja proudly explained that it was born out of the ethos that Xplorio is there for everyone, whether you chose to do your search on- or offline. Added to that, the directory will be the perfect way to get Xplorio (and the local establishments participating on the website) into as many homes in the greater Gansbaai area as possible, creating even greater brand awareness for the community. The 72-page glossy booklet lists the contact details of businesses in De Kelders, Gansbaai, Danger Point, Kleinbaai, Franskraal, Pearly Beach, Uilenkraalsmond and Elim. 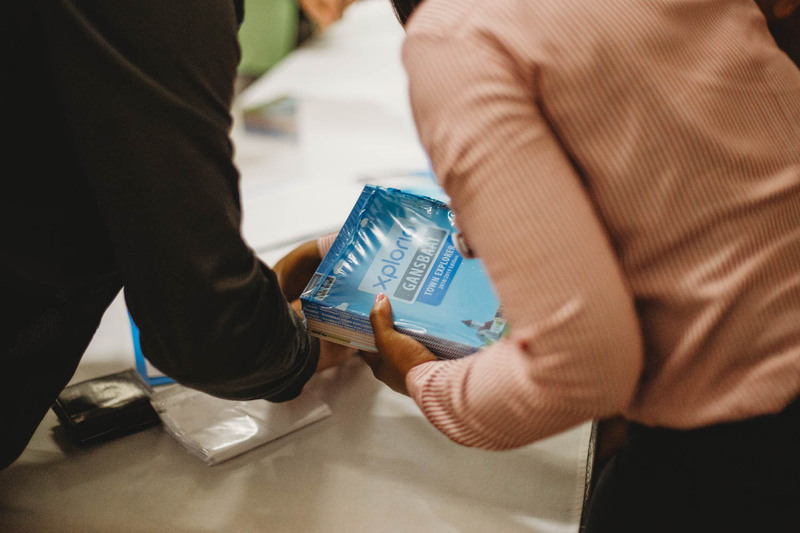 The directories are a must-have and are available to buy from select Xplorio Members at a suggested retail selling price of R30. The evening drew to a close and the official proceedings came to an end, but the whole crowd stayed to celebrate and mingle. This was without a doubt the town's end of year community party with happy revellers staying until the bitter end. NG Kerk Gansbaai for the use of the Pretorius Saal which over the years has unofficially become Gansbaai’s ‘Town Hall’. OK Foods Gansbaai for the delicious gourmet platters which were a hit and are available on order from the OK Team. Lomond Wine Estate for keeping the party going with world-class wines. Cederberg Wines for a delicious keg of craft beer. The Xplorio Community Leaders (Build It, Computer Hut, Grootbos Private Nature Reserve, Marine Dynamics, De Hoop Collection, OK Foods) for their continuous support of the Xplorio project. Until next year’s Xplorio Members Evening, the Xplorio Team wish the Gansbaai Community and all its businesses (employers and employees) a busy, happy and successful holiday season.